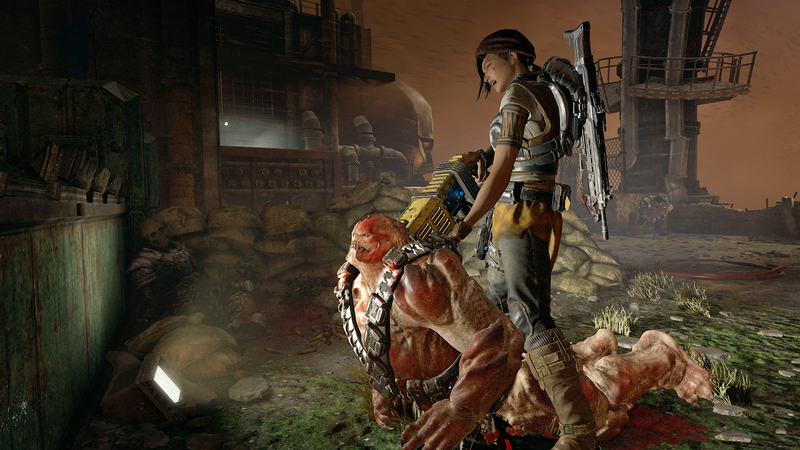 Horde Mode, Gears of War 2’s most enduring legacy, is getting updated for Gears of War 4. According to a report by Dualshockers, Rod Fergusson of The Coalition discussed some details about the mode’s return in during Xbox’s live Twitch coverage of E3. Gears of War 4 will be frequently updated with new maps, and by the end of the first year there will be 24 maps to choose from. Each and every map, Fergusson revealed, will be playable in Horde Mode. As with previous iterations, you’ll be able to fortify your location with various traps and obstacles, which can be moved and repaired as you work your way through all fifty rounds. However, weather effects can now alter your fortifications – a storm might pull apart your barbed wire fence, for instance, but it might also pull in something new that will assist you somehow. Gears of War 4’s multiplayer mode has seen substantial visual improvements since the beta. The game will be a Play Anywhere title, working across Xbox One and PC. True Gear-heads will be able to pick up a custom controller for the game as well. Gears of War 4 launches October 11 for Xbox One and PC.